Remember when T-Pain set the internet up in flames with his stripped-down Tiny Desk performance back in 2014? The jaw-dropping clip marked the beginning of a new chapter for the Tallahassee native—one that saw his fanbase widened and his sound revamped. While he's been busy as of late releasing hits (a la his new track, "F.B.G.M.") and providing the best Game of Thrones commentary in the game, the R&B singer revealed last week that he'll be going unplugged once again for a six-date acoustic tour this fall. Kicking off in San Francisco on October 4, the "Bartender" musician will be traveling across the US, making stops in West Hollywood, Chicago, New York, and Cambridge before wrapping in Washington DC on October 30. 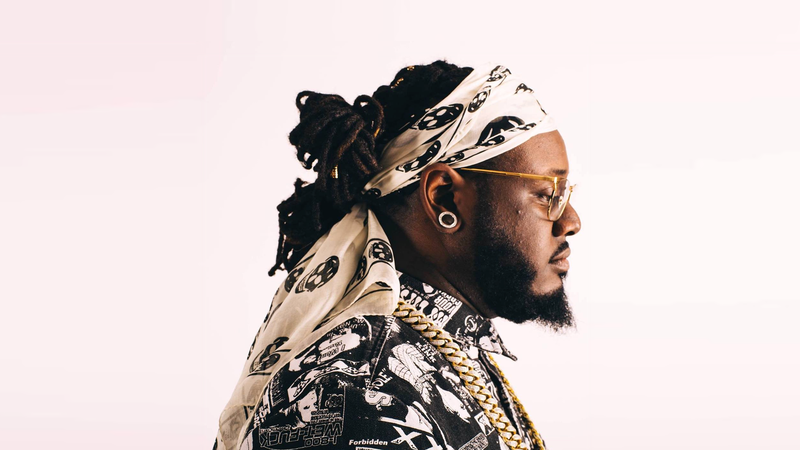 To get fans in the zone for the magic they'll be witnessing, we rounded up five of our favorite stripped-down T-Pain performances on the internet. Check them out below, then make sure to Track the hitmaker on Bandsintown to stay up-to-date on all his touring news! 3. "Up Down (Do This All Day)"